With a babbling creek winding through a centuries-old oak forest carpeted by spring wildflowers, Belleau Woods Forest Preserve in Wheaton stands as one of the few remnant woodlands in DuPage County. The 121-acre preserve harbors a high diversity of native plants and animals, including some considered rare or endangered in Illinois. Due to its high-quality habitats, Belleau Woods was dedicated as an Illinois Land and Water Reserve in 2013. Today the land supports 81 different types of wild animals, some are regionally rare, and the state-threatened black-billed cuckoo has been observed there. However, the continued invasion and growth of nonnative plants and shrubs threaten the forest’s ecosystem and its native plants and animals. Without efforts to control the invasive species and reverse decades of habitat degradation, we will lose many of our native species and the health of the woods will continue to decline. 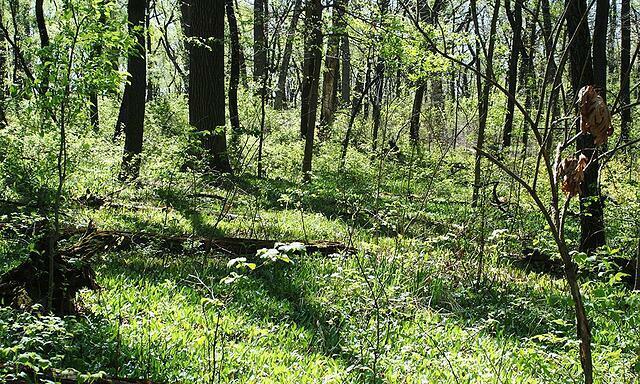 The Forest Preserve District’s Natural Resources department believes that a program to remove nonnative, invasive plant species is needed to protect Belleau Woods from further degradation and restore its natural functions. The restoration would include removing the dense cover of invasive species to increase the amount of sunlight that reaches the forest floor and re-create conditions that native plants need to flourish. The revitalized conditions will help sustain native plants, enhance food for wildlife and invigorate the landscape. Fourty-two thousand dollars will fund the two-year restoration project to remove invasive species by District staff and contractors. They plan to enhance those efforts by using a corps of dedicated volunteers to conduct workdays and keep invasive species in check. The Belleau Woods Restoration Project will help protect native plants, stabilize the forest’s soil and reduce stormwater runoff, and provide an enhanced natural experience for the people of DuPage County. 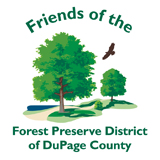 Managing and protecting our natural areas is the primary mission of the Forest Preserve District of DuPage County. Your contribution for this restoration project supports that mission and helps save a key natural area in DuPage County. DuPage County residents as well as wildlife will benefit from these efforts at Belleau Woods through the increase in sustainable services it will provide, from cleaner air and water and improved flood-control features to footpaths offering respites from urban stressors. The effort will take several years, but the rewards will be worth the effort and wait!